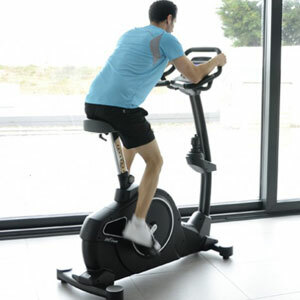 Exercise bikes are one of the go-to forms of exercise equipment for the home. 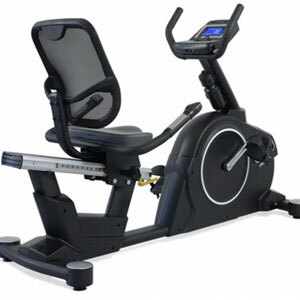 There are different types of exercise bikes for different needs. Will this exercise bike workout be tough enough for every user in the household? 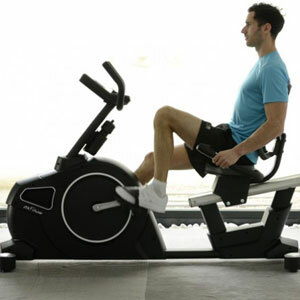 The adjustable nature of the static bike is a crucial factor for many reasons. Comfort features for a more enjoyable experience. Make sure to research available options carefully for the best result. 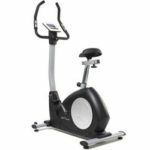 Summary: finding the best home exercise bike for your needs. They offer a nice middle ground between the treadmill and elliptical machines where users feel like they are getting a good workout, but do so in a comfortable, low-impact manner. This popularity means a wide range of bikes in different styles and functions. There is everything from the low-end folding bikes and basic, familiar models to the more intense, specialised machines for road training and spinning. So, what features should you focus on when choosing one for yourself? comfort features for a better experience. Most consumers just want a standard bike for home use that does little beyond a basic pedalling motion. These types of bike are great for newcomers that just want to lose a bit of weight. However, there are also the more experienced users that want a different approach. Those used to spinning will prefer the idea of their very own spin bike at home. Others will want to bring the sensation of the road bike at home for training in bad weather, and again there are specialist bikes that can provide this tougher feeling. 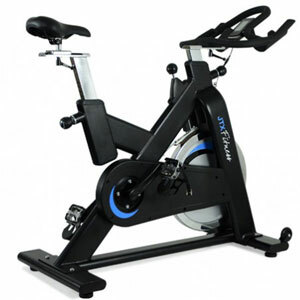 Some gym bikes will offer a wide range of programmes and workouts that specialise in all kinds of needs and performance elements. Others are more basic for the technophobic user. One easy way to check the sophistication of the system is to look for app and Bluetooth connectivity. At the same time, take a look at the specification to see what sort of console it has and the complexity of the data offered. The style and quality of the workout also have a lot to do with the motion of the bike, the fluidity from the flywheel and the resistance levels. How far does the resistance go and is it enough to meet the needs of all users. How many increments are there and are they easily adjusted? Some bike machines have computerised magnetic resistance while others rely on a simple manual knob. Some also have a smooth curve of progression from beginner to experienced levels, while other stick to the lower levels and don’t do much for keen cyclists. The next factor to consider is the adjustability of the settings – like that resistance option and other variables in the workout and programme. This is also important with the adjustable nature of the frame. 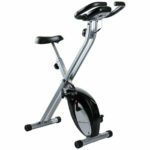 The best gym bikes have height adjustable seats and handlebars for better comfort and posture in the riding position. This means less pain, more security and a greater chance of working out longer. Be aware that many brands still struggle to accommodate the very tall or very short. Also look out for the ability to move the console for a better viewing angle or a horizontal movement on the seat, as both could help users further. Adjustability in the frame for storage. There are some bikes that are big, stocky and robust for a gym-quality feel. Then there are those that foldable for storage to be more convenient for apartment users. Some do so more easily than others, with a simple mechanism on an X frame. Yet, this X frame design isn’t always the sturdiest. Check the user comments to see if the process of storage and setting up is a workout in itself. Then there are the final details to finish off this user’s guide. Some fitness bikes are a little stark when it comes to features, and that is fine for many novice user. However, others will prefer the chance to watch TV or listen to music as they ride. Simple extras like a music system and media shelf help here. It is also worth checking to see if the bike has a water bottle holder on board. Of course the comfortable of the saddle comes into play here too. It is rare to find one with the perfect shape and cushioning, so be prepared to look for a gel cover to go on some of the better exercise machines. 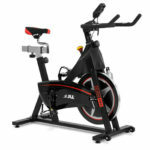 There are clearly lots of different types of exercise bikes out there with lots of different approaches to the workout. This means that there are many brands competing with each other to produce the best specification in the best looking bike machine. Therefore, it pays to compare these options carefully to see what you are really getting for you money. Some expensive models may have great programming, but a lack of comfort features. Cheaper models may have the folding frame and accessible resistance levels, but might be lacking in security. It also helps to look at buyer testimonials for a better idea of the user experience. As this buying guide has shown, there are many factors to consider. Some will be a greater priority than others. Consider the type of workout you want, whether a high-impact road-style ride or something more simplistic. Think about the ease of use with the bike’s programs and mechanics to make sure that it is accessible for all that want to use it. Also think about the adjustability of the resistance, frame and settings. Finally, look at the comfort and security to make sure it is a machine you will use each day. With all of this in mind, you should find a great exercise bike for the home gym.